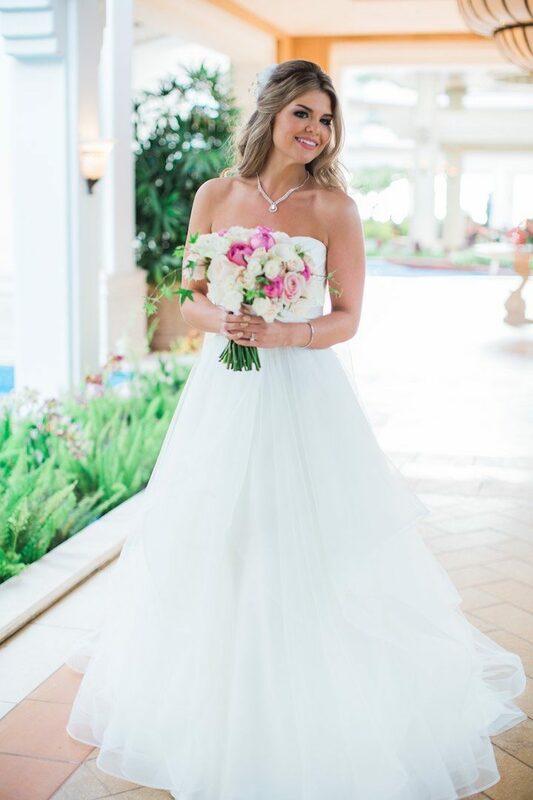 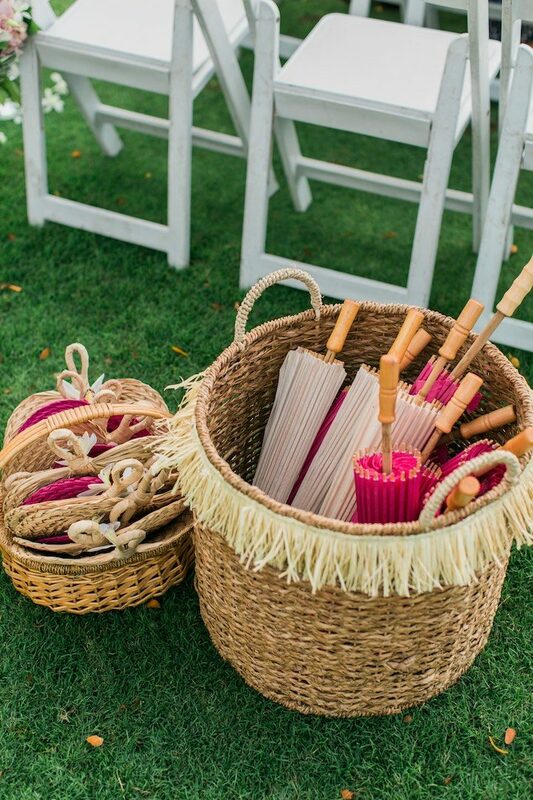 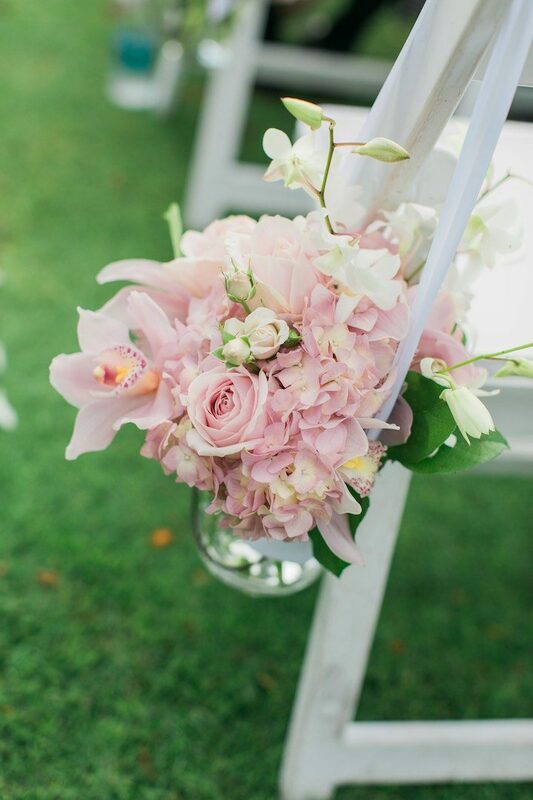 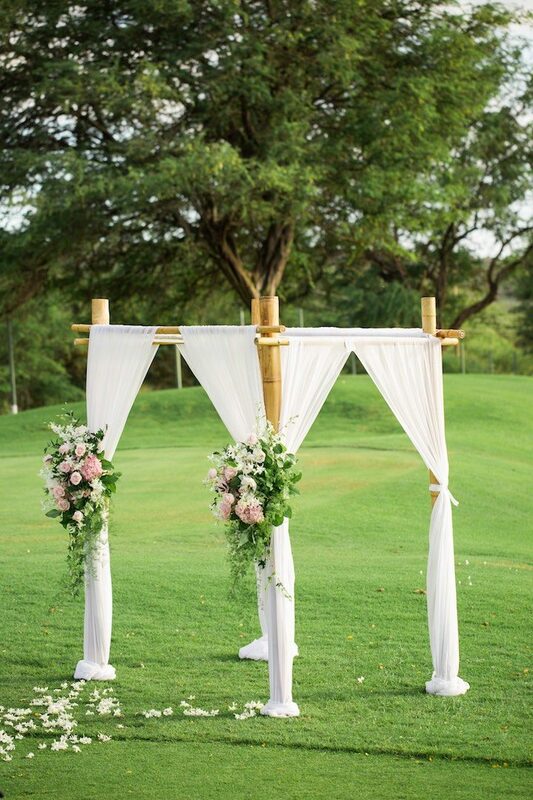 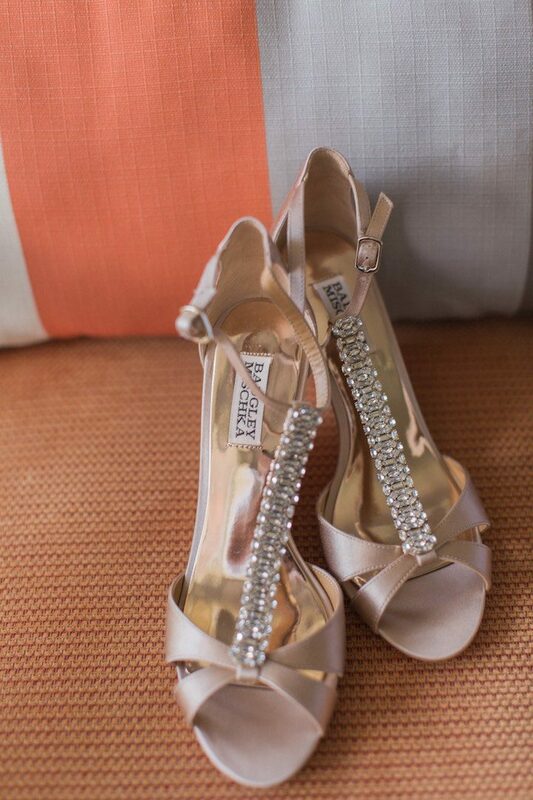 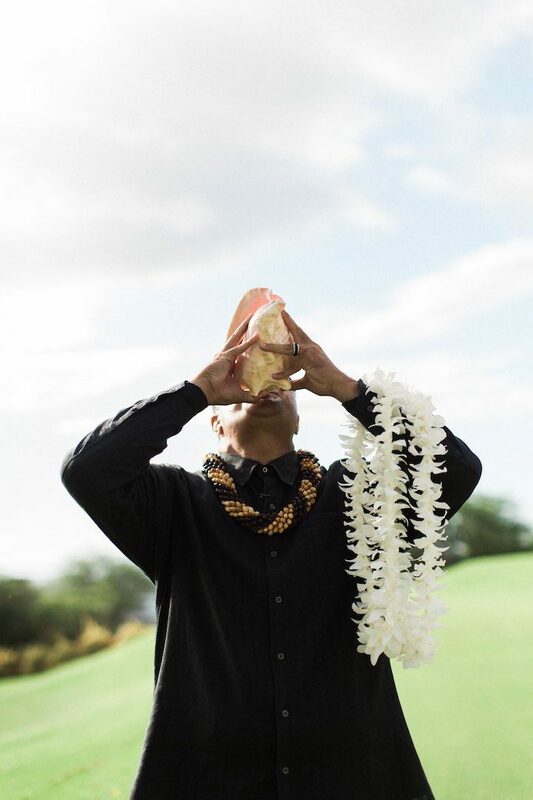 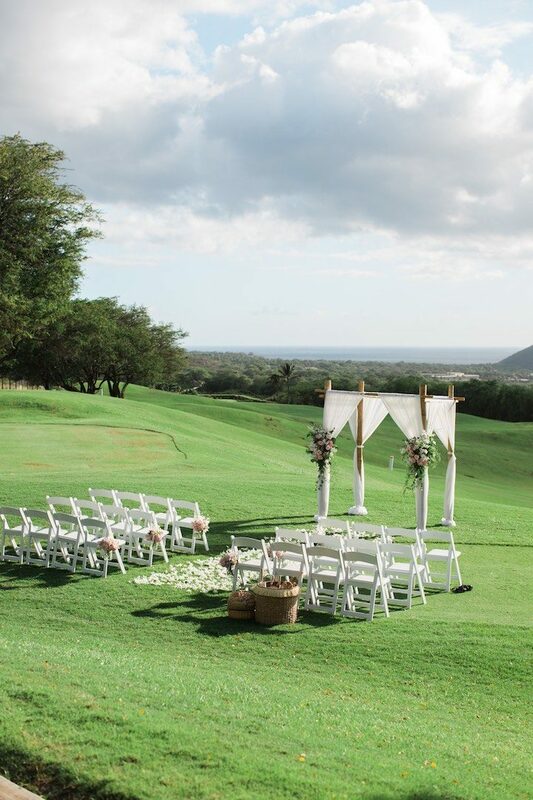 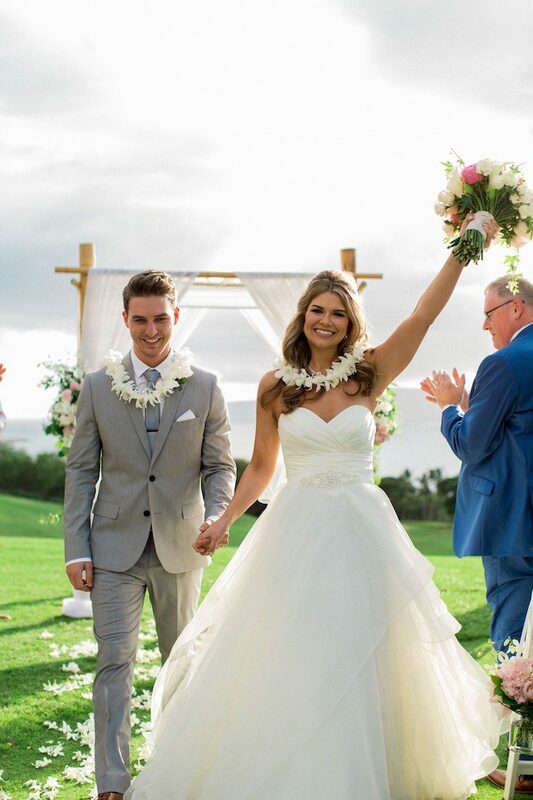 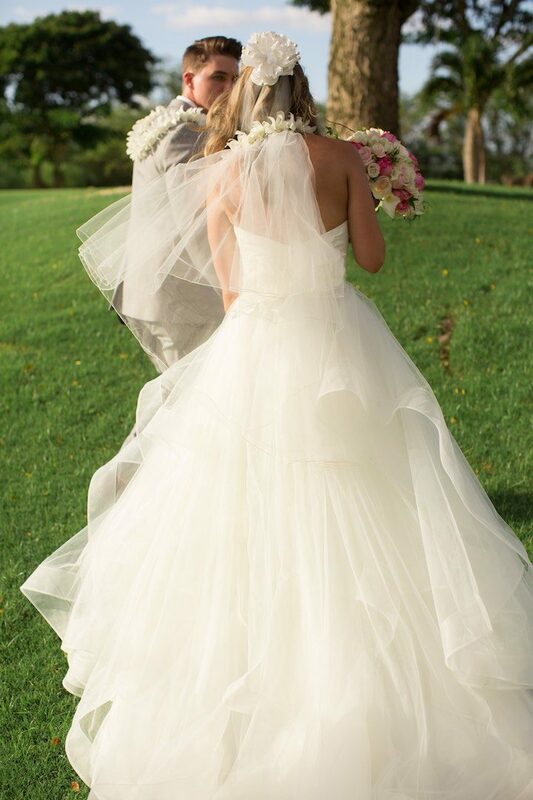 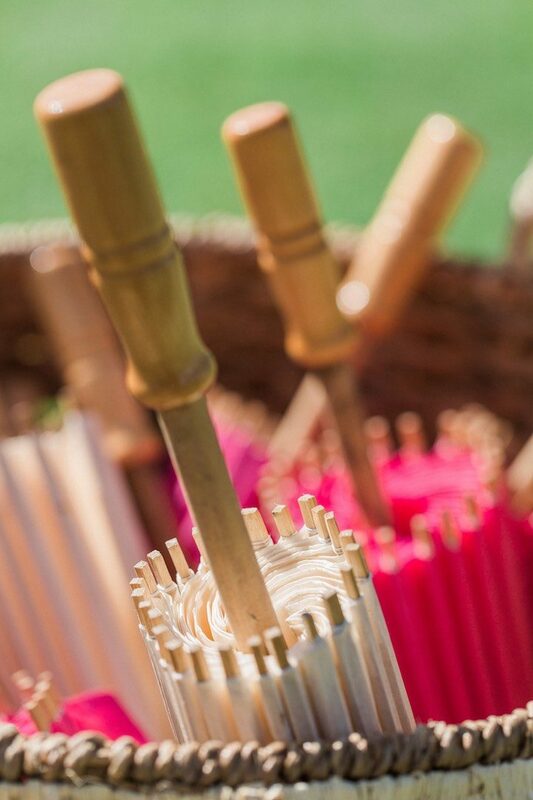 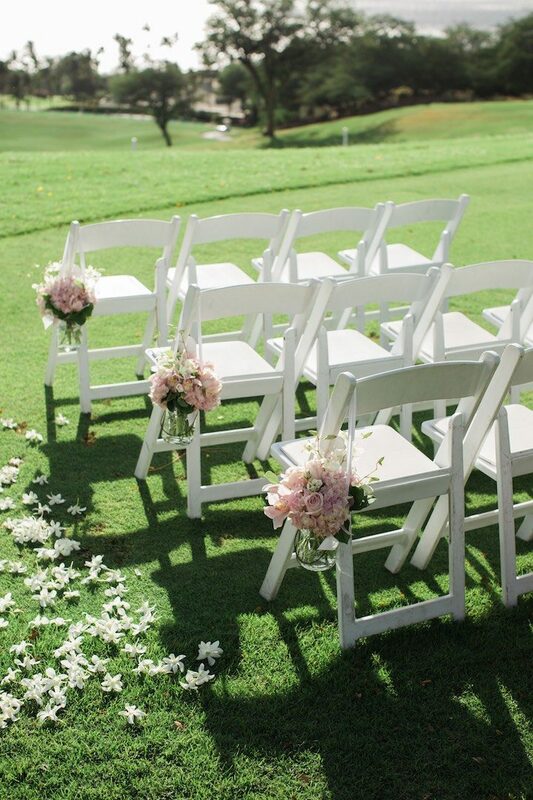 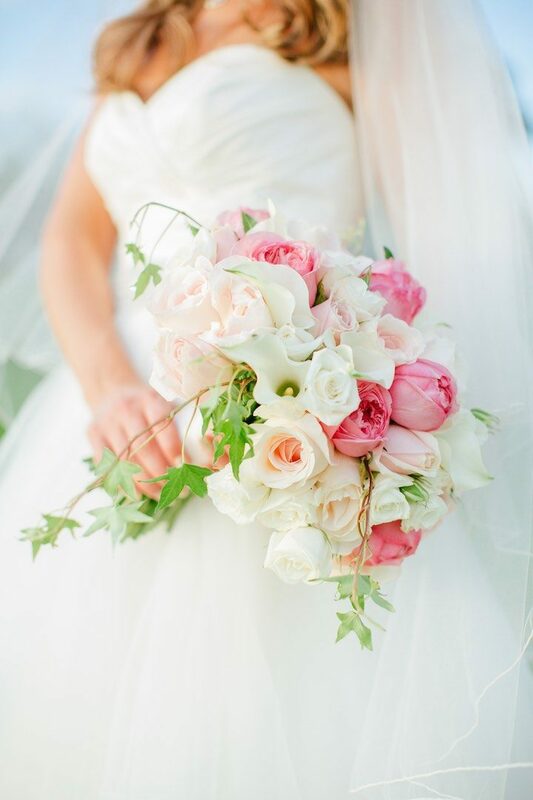 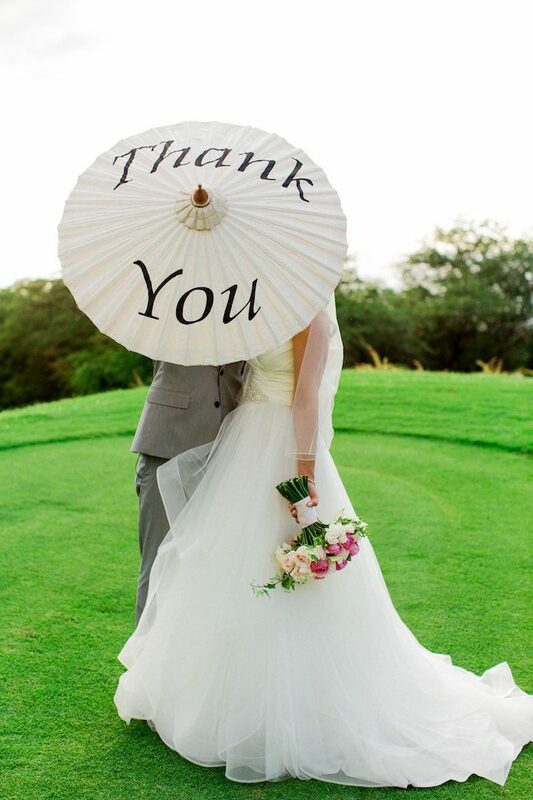 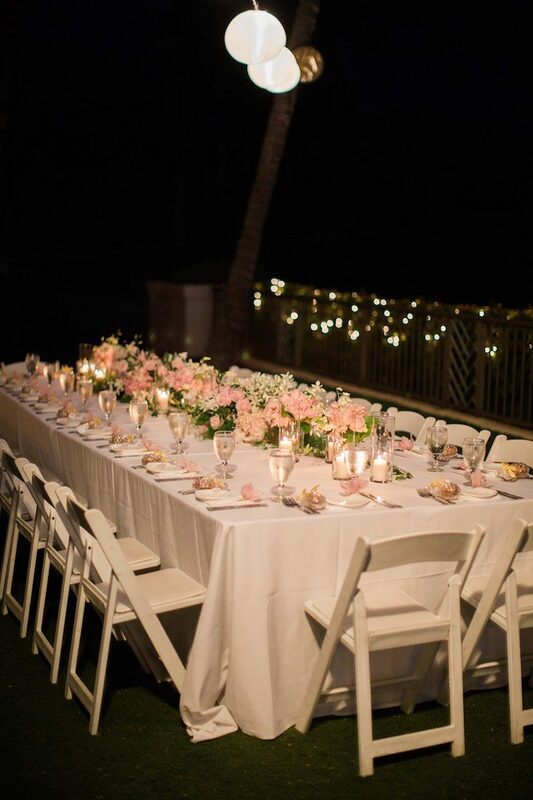 What better way to get Maui’d than with a Maui wedding? 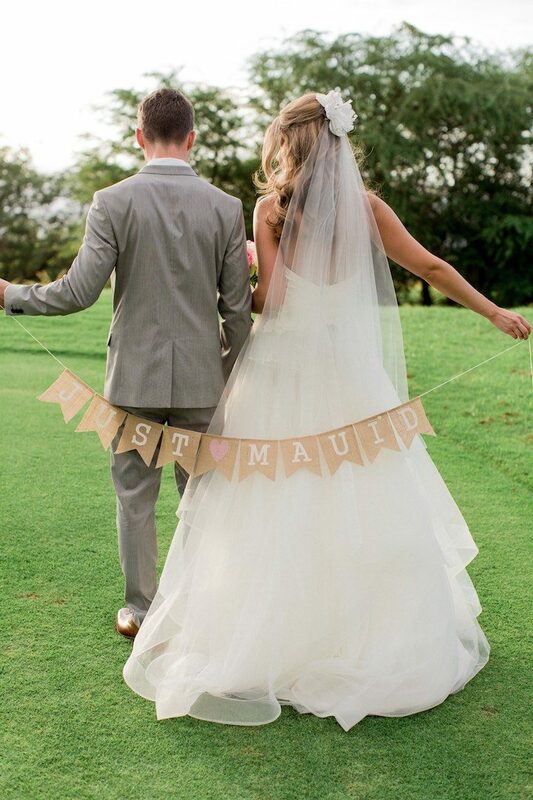 Sorry, couldn’t help myself – I was inspired by the couple’s “Just Mauid” sign! 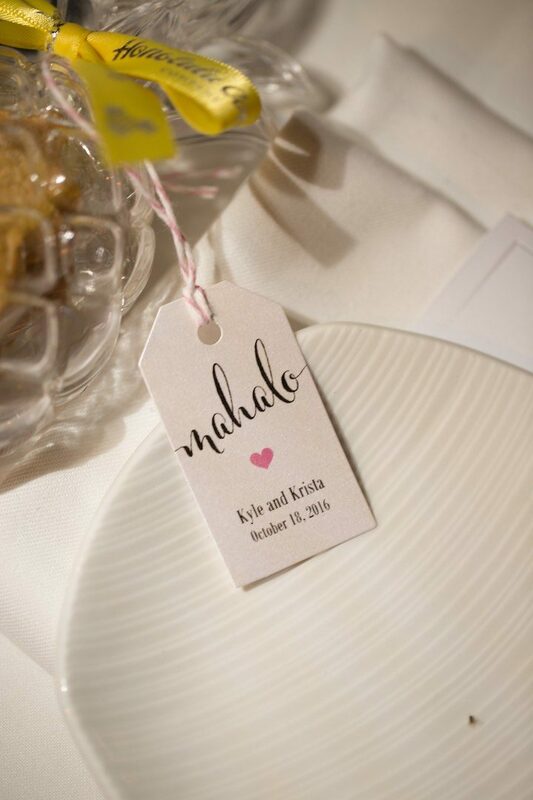 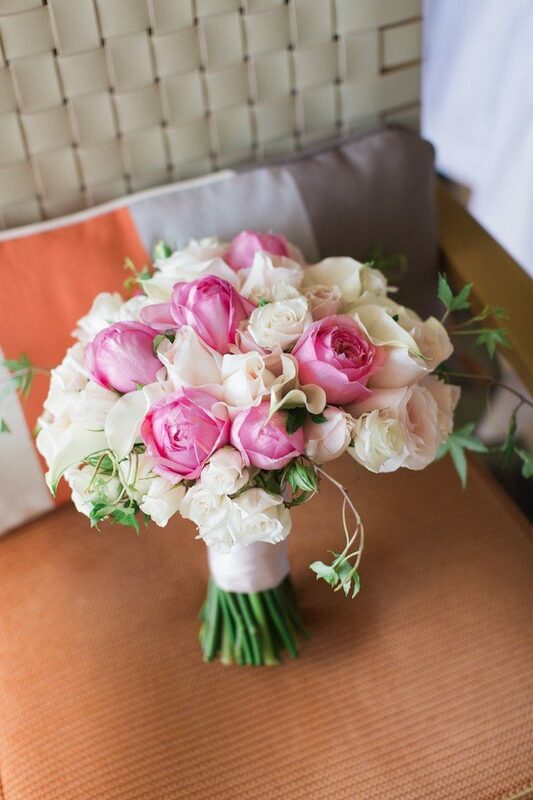 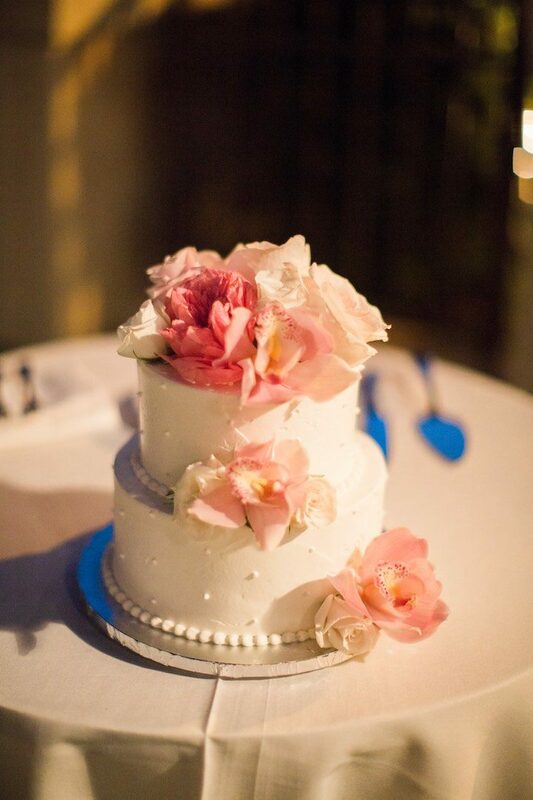 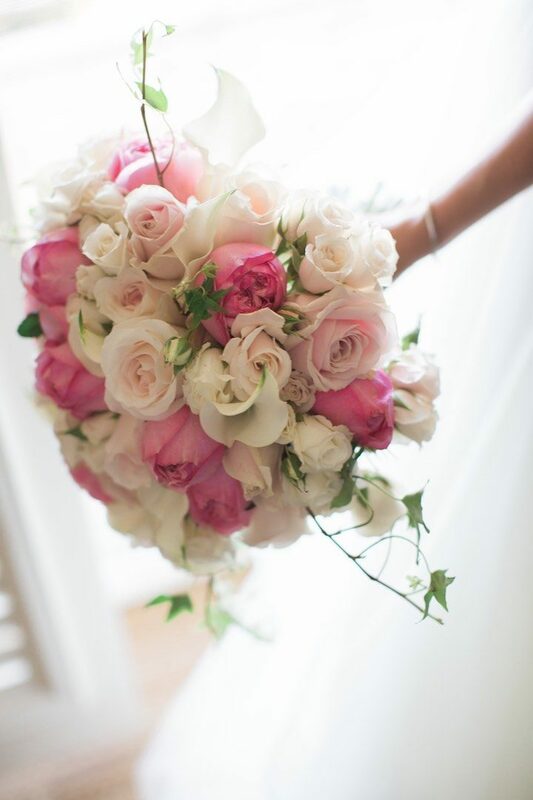 But seriously, Krista and Kyle’s intimate soiree was picture perfect. 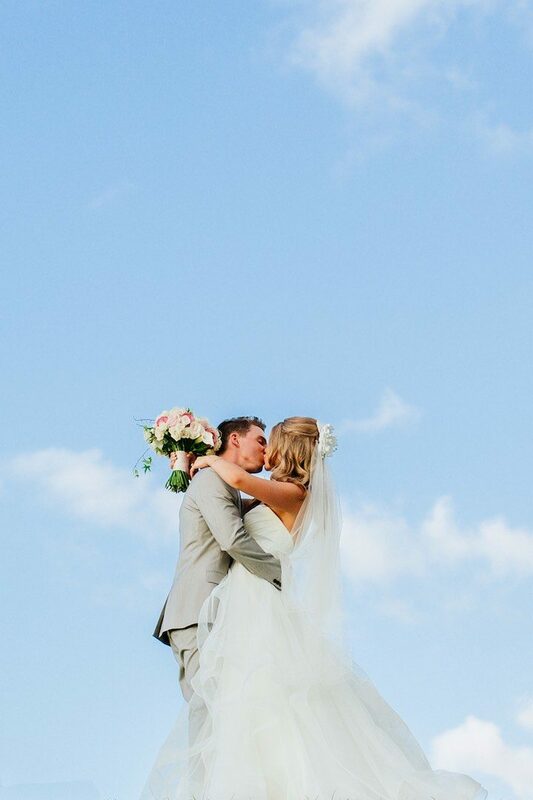 Blessed with an incredibly gorgeous sky as the backdrop, the ceremony simply magical. 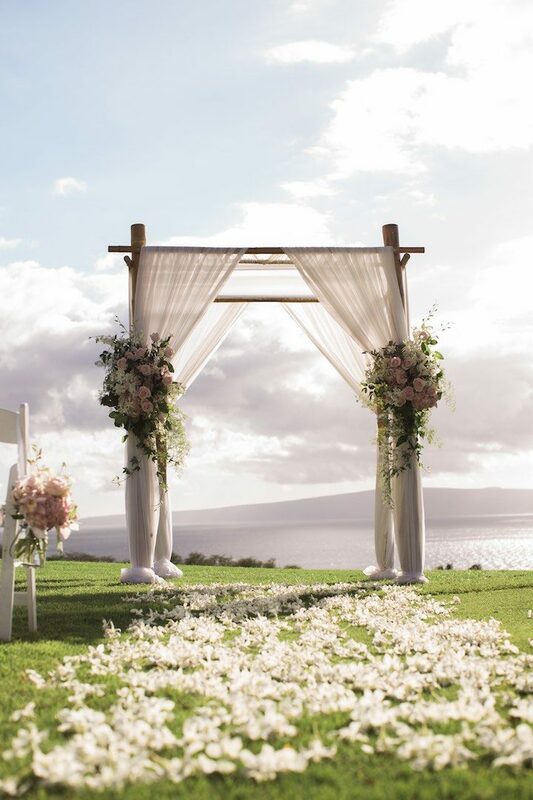 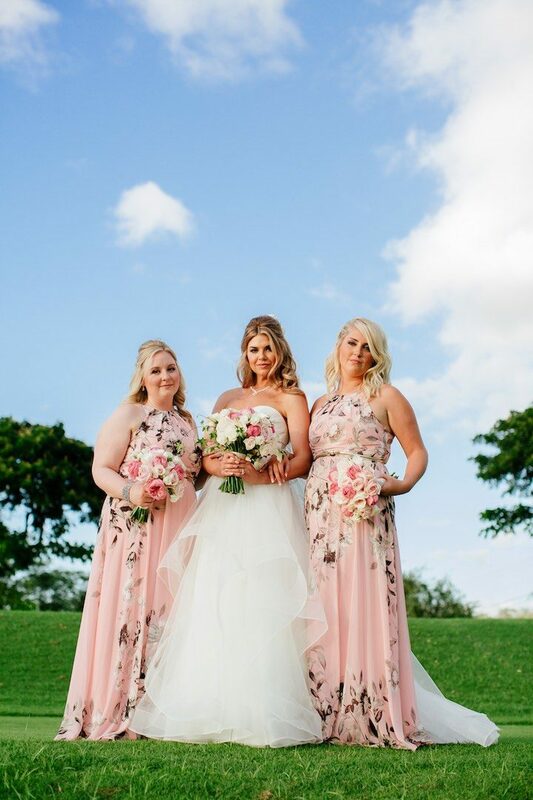 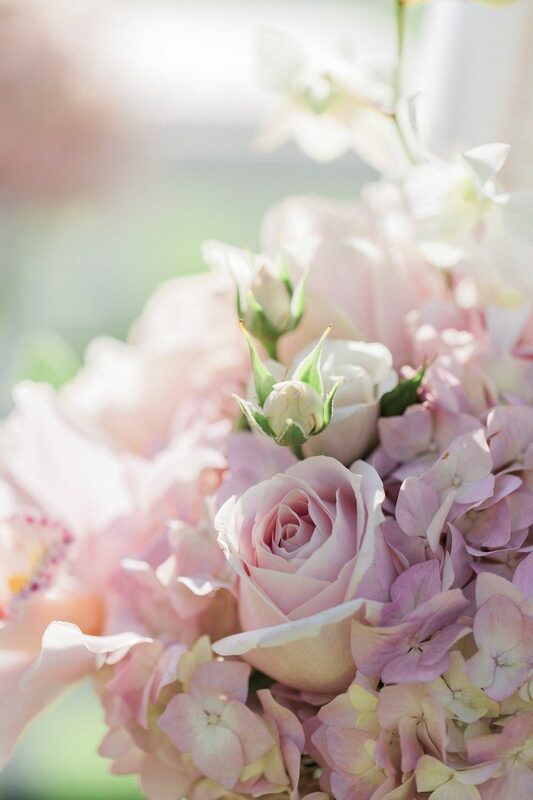 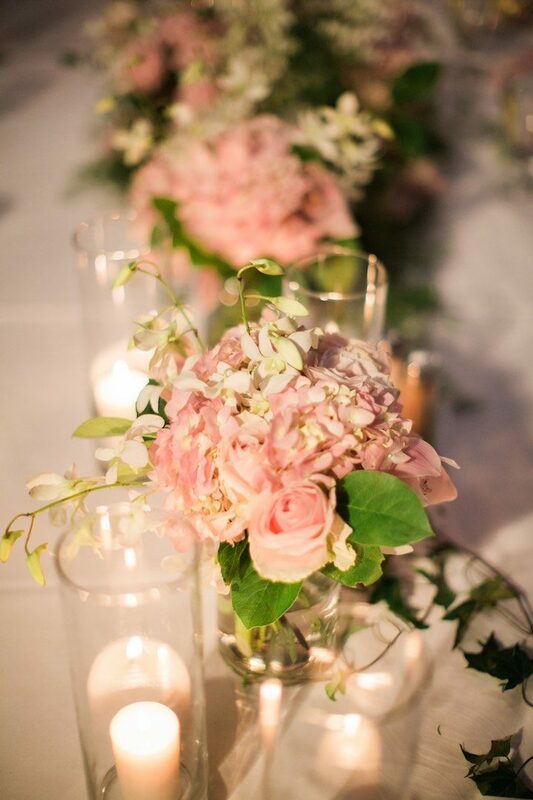 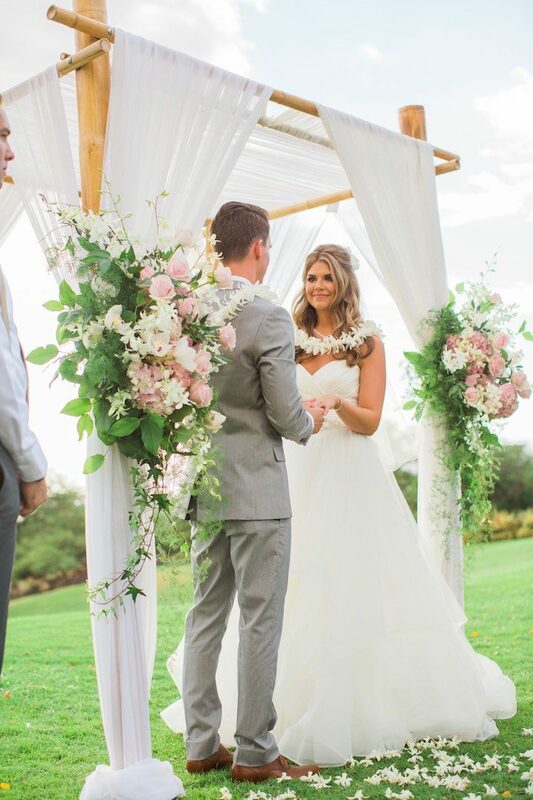 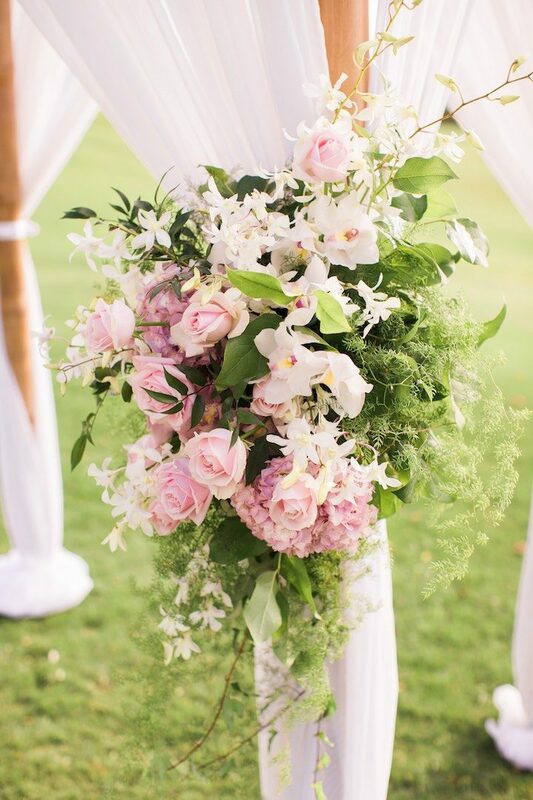 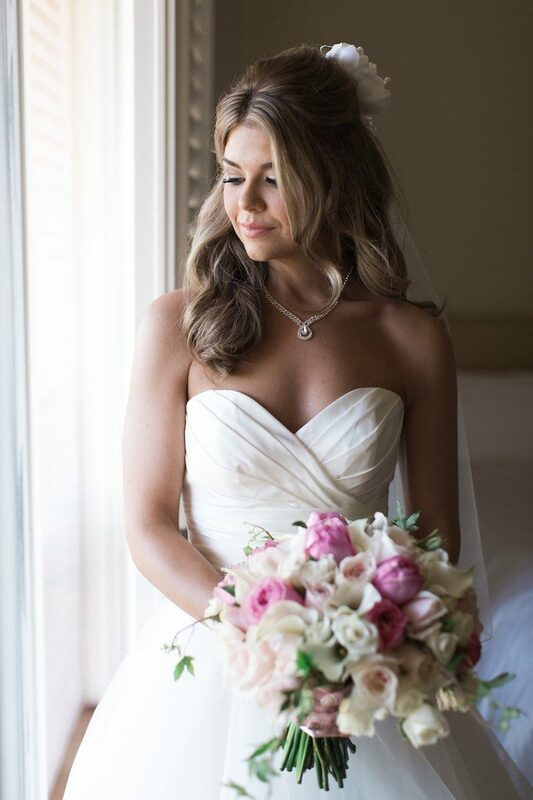 Lois Hiragana Floral Design created a simple yet super pretty ceremony arch adorned with pink florals and cascading greenery. 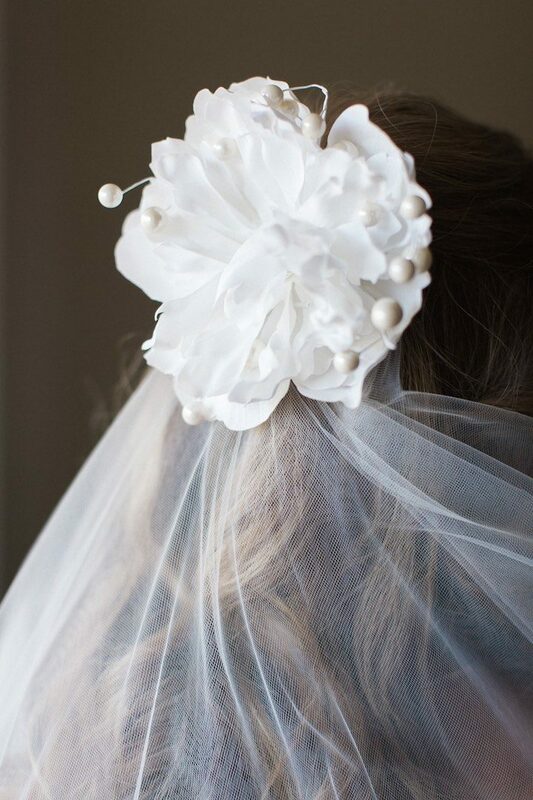 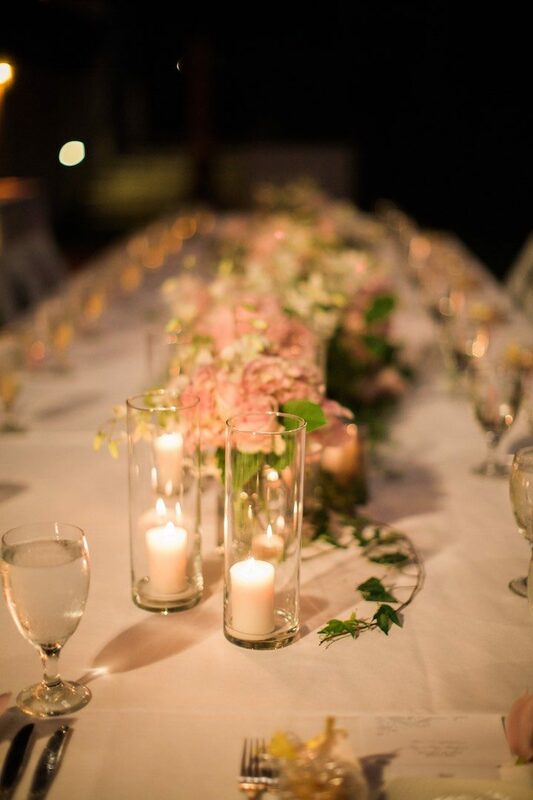 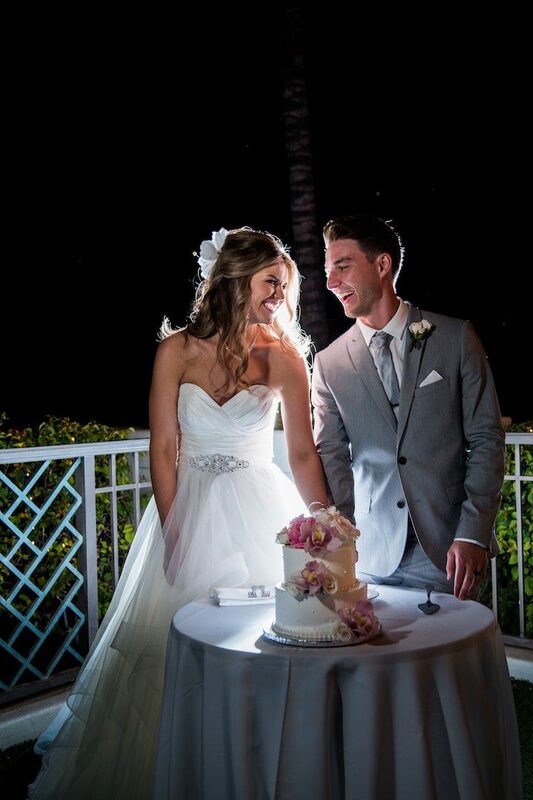 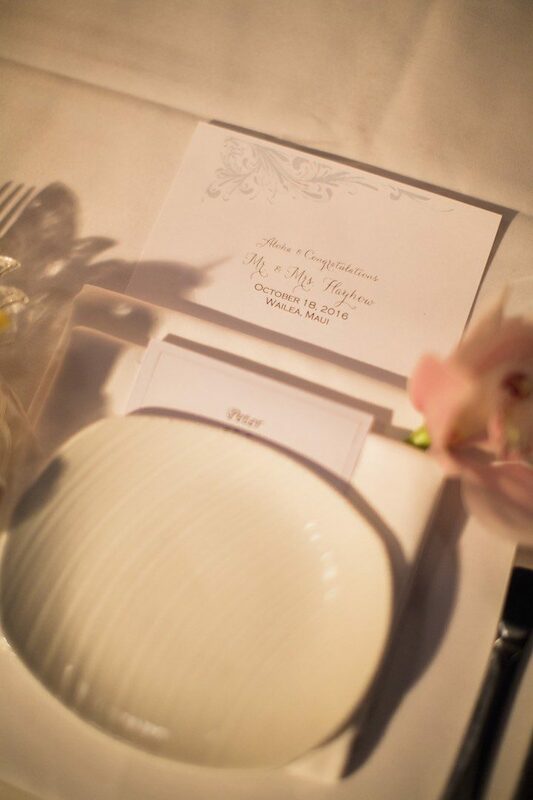 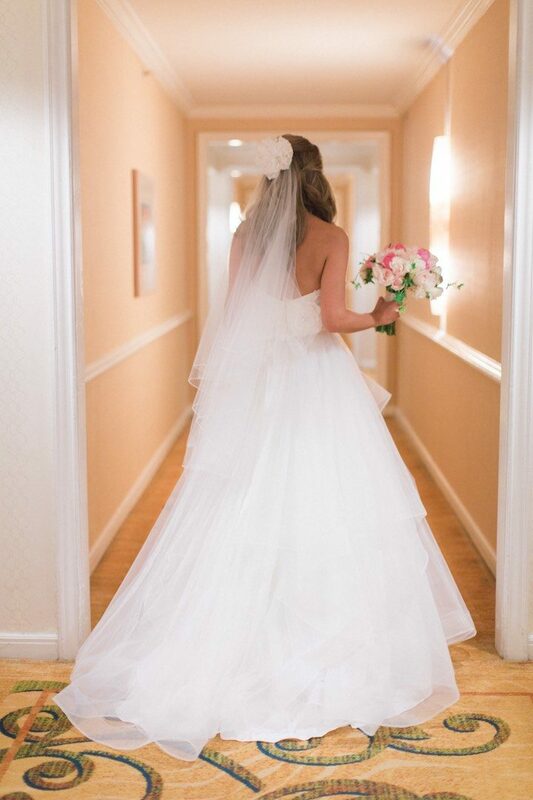 The sheer white linens also highlighted the bride’s gorgeous white A-line gown which fit the setting flawlessly. 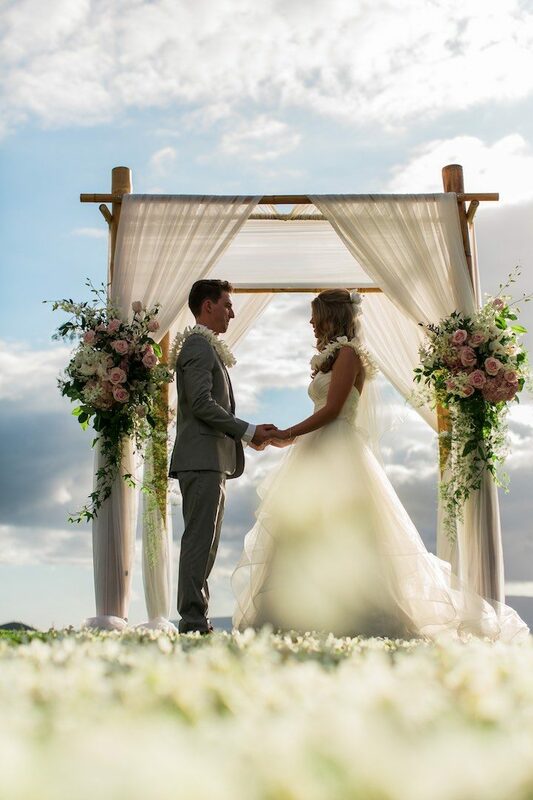 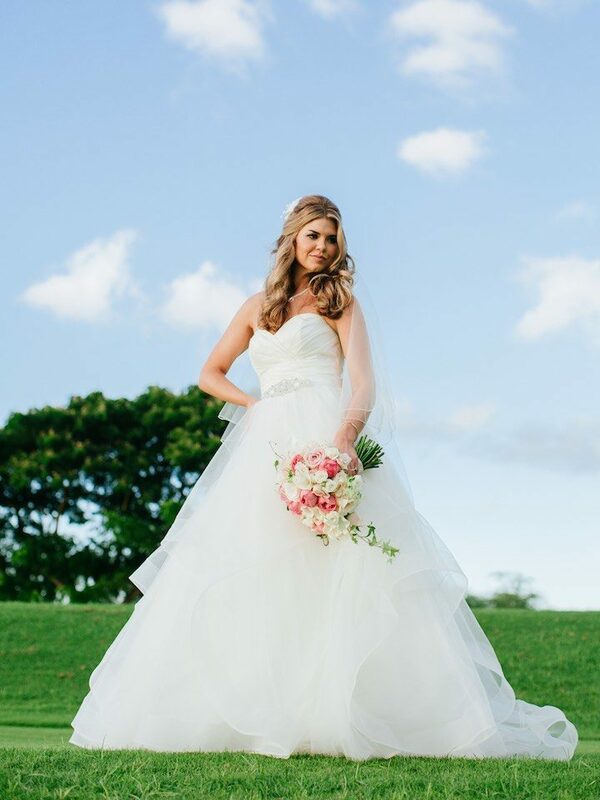 Get ready to be inspired by the photos captured by Chris J. Evans – this Maui wedding will make you swoon!